You are in Portland for lunch and want a place you can sit down. Where do you dine? Note: I ran off on my trip this fall with a bunch of “best of” posts written and set to publish automatically. It wasn’t until yesterday that I realized it had never happened. The best-laid plans… get ready for a slew of these. 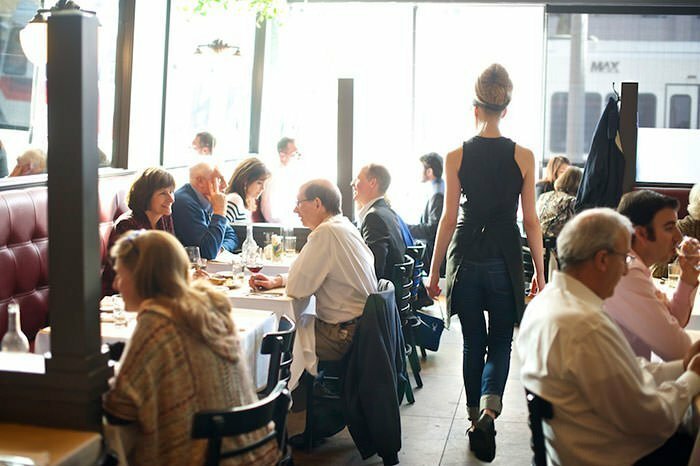 Where to get lunch is a common office debate, and the reader nominations for our survey run a full range of Portland restaurants, though the winners leaned heavily towards the downtown area. Lardo started out as a food cart, but quickly expanded to a brick and mortar restaurant in SE Portland. A second on SW Washington quickly followed. Their large classic meat-centric sandwiches call to legions of Portland office workers, but the line moves quickly. Some of my favorites: Korean Pork Shoulder, Nashville Hot Fried Chicken, and the Griddled Mortadella. Sandwiches start at $11. Little Bird – is the sister restaurant to Le Pigeon, one of the most highly regarded restaurants in Portland. Justifiably, Little Bird has a large, passionate following. Over the years the cuisine has walked a line between a French bistro and modern French, though these days dishes tend to be true to the classic cuisine, such as crispy sweetbreads, cassoulet, seared foie gras, and roasted marrow bones. Bunk was opened in November 2008 when chef Tommy Habetz who had worked at Ripe and Meriwether’s restaurants in Portland and Mario Batali’s Lupa in NYC, joined forces with Nick Wood who was his sous chef at Meriwether’s. Those days the line ran out the door and down the street, and they frequently ran out of the most popular menu items. 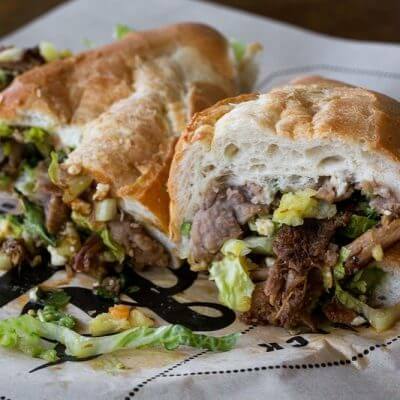 But at this point the sandwich empire encompasses seven locations, so you are bound to have one near you. Prices are cheaper than you might expect – the most expensive sandwich, and Oregon Albacore Tuna Melt is $11. 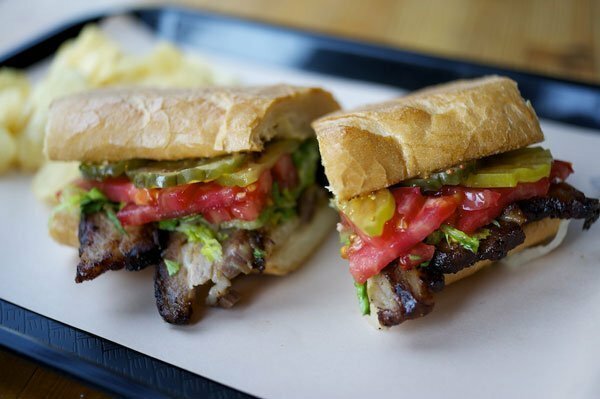 My favorites are the Meatball Parmigiano Hero, and the Pork Belly Cubano with ham, Swiss, pickles and mustard – $10. You’ll find my review here. Boke Bowl started as a pop-up in 2010. 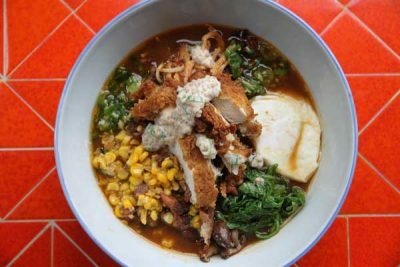 It didn’t take long for them to put together the funds to open a ramen shop in Portland’s Eastside Industrial District, followed a few years later by a Westside location. 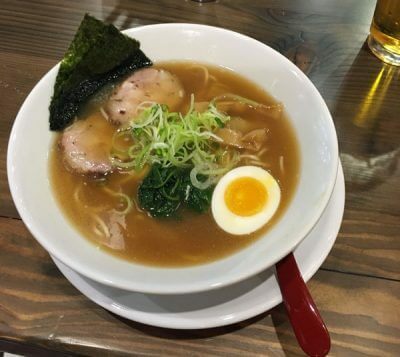 You’ll find ramen with handmade noodles, dashi, steam buns, and more. on Saturday and Sunday, the westside branch has a “non-faithful” recreation of Dim Sum. Ramen Bowls start at $12, Poke Bowls are $15, and the Duck Dashi with duck confit is $15. Of course there are lots of add-ons that will push the price a bit higher. Pine Street Market isn’t one restaurant, it’s more of an upscale food court. 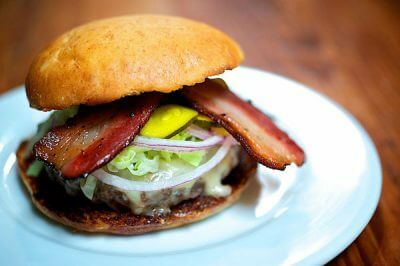 Currently, the choices are Bless Your Heart Burgers, Barista Coffee Brass Bar, Kim Jong Smokehouse – Korean-style street food, Kure Juice Bar, Marukin Ramen, OP Wurst – hot dogs and bratwurst, Pollo Bravo – Spanish Rotisserie Chicken, Trifecta Annex – baked goods and pizza, Salt & Straw: Wizbangbar soft ice cream. It’s hard to go wrong; the only ones I haven’t tried are Kure Juice Bar and Wizbang (I know, I know, but I’m line averse). My favorite is Marukin Ramen. It’s a good place to meet friends because everyone can order what they want, but seating is shared among the restaurants. If it’s early in the day, head straight to Barista for coffee, and then to Trifecta Annex for baked goods – some of the best in the city. To quote the famous story, Nong came from Bangkok in 2003 with $70 and 2 suitcases. 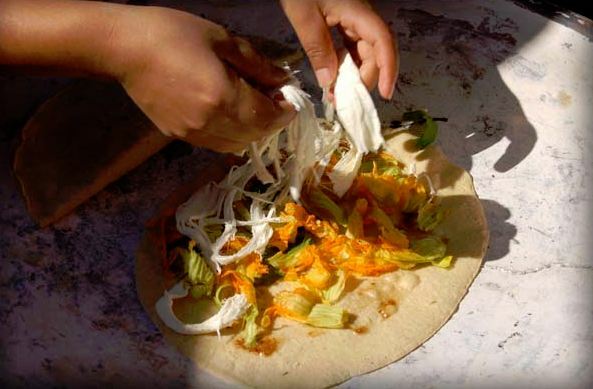 She saved until she could afford to open a food cart and now has a brick-and-mortar location. 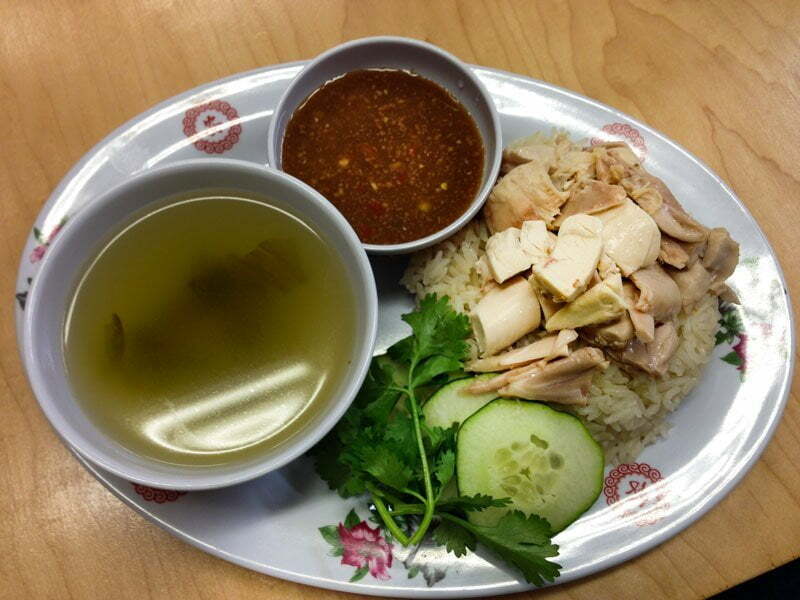 Nong’s specialty is Khao Man Gai, a chicken and rice dish. The dish is simple but great, which has made her the darling of many food writers, with The Washington Post and The New York Times weighing in. Last year she expanded the space and added big windows to bring in the light. Don’t have time to go to the East side? Try one of the food carts in SW Portland. The namesake dish is only $9.50. When I’m downtown and want a leisurely lunch bite (though they can get you out the door pretty quickly if you want), I head right to Olympia Provisions NW. The space is a bit out of the way in the shadow of the Freemont Bridge in the NW Industrial District, but that’s part of its charm. It’s bright and airy, and not so loud you can’t carry a conversation. This is the company that is known for its cured meats, so if you have time, start with the Charcuterie. They have five combinations to choose from; I invariably head for the Spanish Board ($19). Salads are large and fresh, the soup is housemade and always good. People seem to love the Roast Chicken ($9/$15), but at lunch, I go for the sandwiches – choices like Chicken Salad, Spicy Fried Chicken, Corned Pork Cheeks, and a Fried Oyster Roll. These sound basic, but they aren’t. Each one is thought through, for example, the Chicken Salad consists of caramelized leek, sour cream, sultanas, almond, and chicory on a primo roll. The service is good, wine by the glass selections are comfortable, and the food rarely disappoints. Prices run $11 – $13. From the website: “¿Por Que No? strives to support our local economy, whether it means using line-caught fish and local meats or remodeling with recycled materials. We have traveled from the Pacific Coast of Mexico to the mountains of Oaxaca to share the flavors and the essence of what we found. In the end, it’s all about the food and the community of people who enjoy it!” Every restaurant website has a fluffy section about their ethos, but owner Bryan Steelman walks the talk. He’s passionate about the food, keeps the menu small enough so quality food can be turned out quickly, and, word on the street is, he treats his employees very well. My picks – any of the tacos, the Bryan’s Bowl. Both locations are very popular – you have been warned. Expect a line just about any hour of the day. Both also have a funky, interior, are the order at the counter and sit down model, and both have pleasant outdoor dining areas. Our updated review. The slogan at Mother’s Bistro is “It’s all about the love”. I think they live up to the motto. Everyone, not just mother’s, are treated well here. The restaurant specializes in taking homemade style favorites that your mother might have made and refining them with classical cooking techniques. Mother’s is very popular, especially the brunch. But service is efficient, and the servers seem genuinely happy to be there. That goes a long way towards making the customers happy. You’ll find mom classics like Matzo Ball Soup, Chopped Liver, Tuna and Cobb Salads, Reuben Sandwiches, Meatloaf and more. 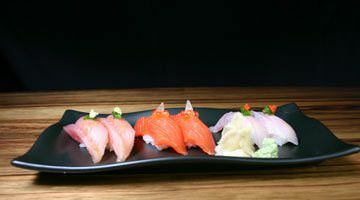 If you feel like a substantial meal, you can pick the “Macaroni & Cheese Du Jour”, Grilled Salmon, Chicken Bento or the Fish Du Jour. The menu changes regularly depending on the mother they are featuring. Lunch prices start at about $8 for soup & starters, salads start at $8, sandwiches are in the $10 neighborhood, and entrees begin at $12.95. Finally, we come to John Gorham’s Tasty n Alder. A slightly revised version of the popular Tasty n Sons, this restaurant has a more formidable, meat-centric dinner menu. But we are here for lunch, and the restaurant excels, focusing on a brunch style menu until 2 pm, but with many heavier large dishes. 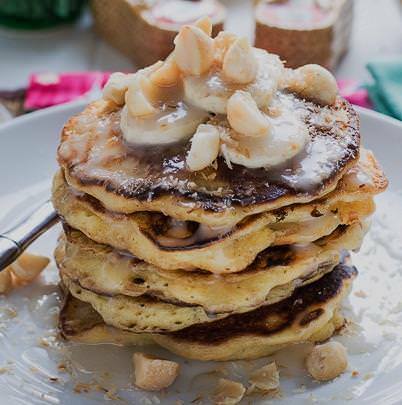 You’ll find everything from an excellent Tasty Steak & Cheddar Eggs (nearer thy God to me), a Gaucho Ribeye or Flat Iron Steak, Korean Fried Chicken, a Hangtown Fry with Willapa Bay Oysters, a Pan-Fried Halibut Sandwich and a large selection of kicked-up breakfast items. 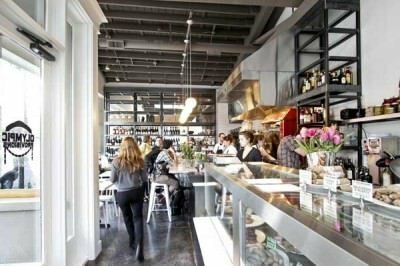 This is one of my favorite casual restaurants in Portland, and I would go more often if it weren’t for the wait – there is almost always a long wait. But look around, lots of people are standing in the bar hoping for a table for a reason – the food is damn good. Give your name to the hostess, have a drink and catch up on your social media. In a hurry? You’ll need to go somewhere a little less popular. Prices for many items start at about $8 and I don’t think anything goes over $20 other than the steaks, which hit $29. This review of Tasty n Sons will give you an idea what to expect. Category: Best of Portland 2017. Related posts about Boke Bowl Restaurant, Bunk Sandwiches, Lardo Restaurant, Little Bird Restaurant, Mother's Bistro, Nong's Khao Man Gai Restaurant, Olympia Provisions Restaurant, Pine Street Market, Por Qué No? Restaurant, Tasty n Alder Restaurant, Tasty N Sons Restaurant. Solid list. While there is nothing wrong with Boke Bowl, in a city with so many delicious ramen restaurants, it’s hard to understand BB coming in the top 5, much less the top 10. I pretty much had the same feeling. Ugh, this list is custom made for an airline magazine. Weak.